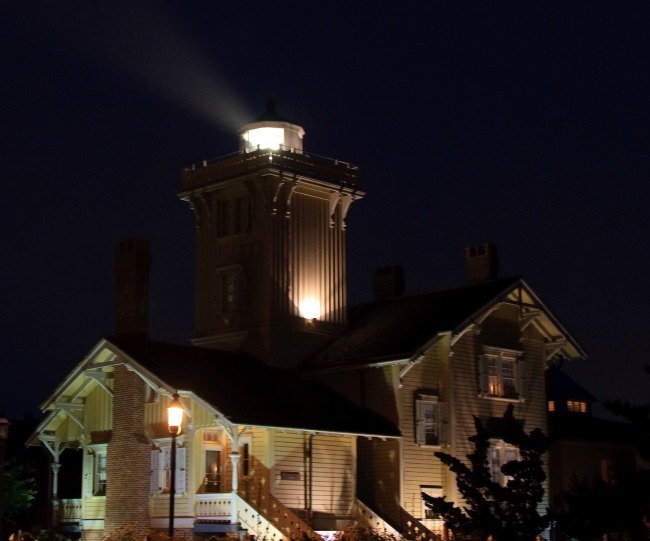 Have you ever been to the Hereford Inlet Lighthouse? Located in Wildwood, New Jersey, this beautiful lighthouse is worth visiting. If you are heading to the New Jersey shore, you should take a drive to Wildwood to see the Hereford Inlet Lighthouse. Don and I decided to do a tour of the famous lighthouses in New Jersey. Well, we decided to take a trip to the NJ shore, but it turned out to be a bad day for the beach, so we made the most of the trip and decided to do a lighthouse tour. We wanted to see as many of the famous New Jersey lighthouses as we could. We saw the Cape May’s lighthouse, the Absecon Lighthouse in Atlantic City and the Hereford Inlet Lighthouse in North Wildwood. The Hereford Inlet Lighthouse is a working lighthouse. It is also a museum. It is open to the public for guided as well as self-guided tours. While there is no charge to tour the gift shop and the gardens, in order to climb the lighthouse. 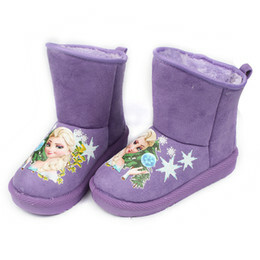 It costs $5 for adults and children over 12. For kids under 12, the fee is $2. There is no fee for Members of the Friends of the Hereford Lighthouse, New Jersey Lighthouse Society and Active members of U.S. Coast Guard. Counting from the first step ground level to the lantern room, there are 69 steps in the lighthouse. Visitors will only count 56 though because the lantern room is closed to the public. 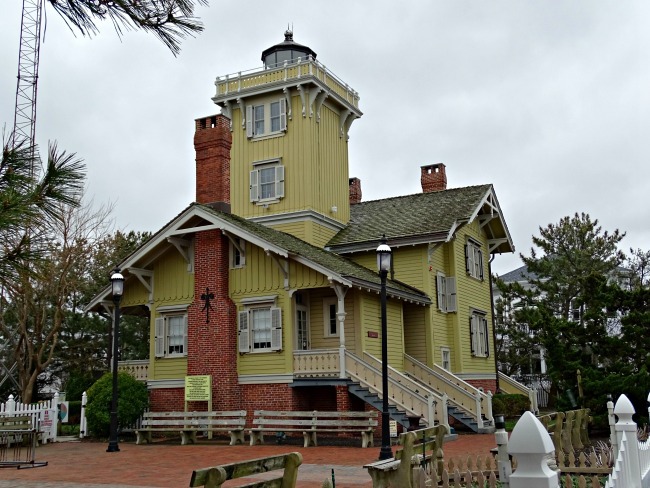 Inside the Hereford Inlet Lighthouse, visitors will learn about the history of Hereford and see a glimpse of what life was like for a lighthouse keeper in the late 19th and early 20th century. 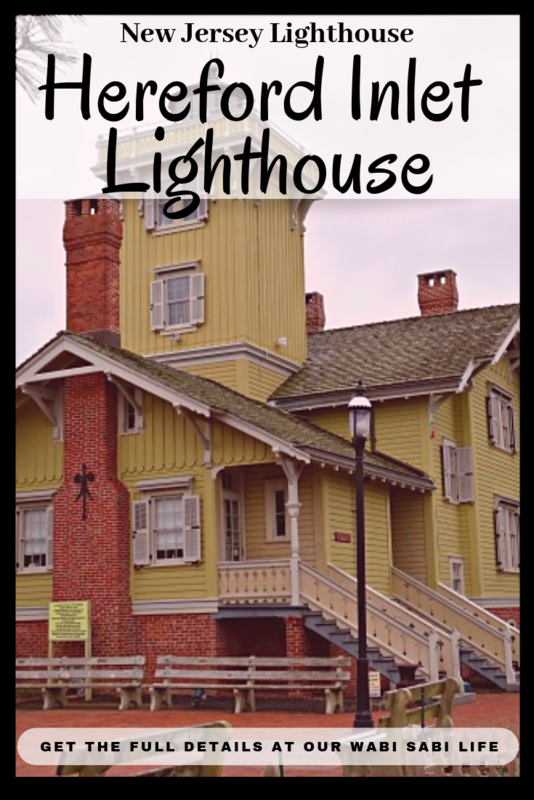 The lighthouse has become a cherished landmark for the residents of North Wildwood and the visitors who come to the area. The lighthouse is on the south side of the Hereford Inlet, which leads from the Atlantic Ocean to the Intra-Costal Waterway linking Main to Florida. In 1849 the first life-saving station was built due to strong currents and shifting sandbars. In 1871, a larger station was built and replaced the first. As more and more ships were using the waterway, it became obvious that a Lighthouse was needed to mark the mouth of the Inlet. The Hereford Inlet Lighthouse does not look like the traditional lighthouse. There are many different styles of lighthouses and they can be made from different building materials. It all depends on when, where and why they were built. The Hereford Inlet Lighthouse is a residential style lighthouse, which means that the keeper’s house and the light tower are in the same structure. The lighthouse is a harbor light and not a major coastal lighthouse, which is another reason for the difference in the design. The Hereford Inlet lighthouse measures 57.6′, from ground level to the top of the ventilator ball. Since the lighthouse is still a working navigational aide, the light still shines. On a perfectly clear night, it can be seen for 13 nautical miles. Why is the Hereford Inlet Lighthouse so Far from the Sea? Many people wonder why the Hereford Inlet lighthouse is so far from the water. The sea coast is always changing and that means that sometimes the lighthouse is closer and sometimes it is further away. After a severe northeast storm in September 1913, the ocean waves were crashing against the building, undermining its foundation. As a result, the building was moved 150 feet to where it is today. Next to the lighthouse is the State police building. In 1938, when the building was erected, it was originally a Coast Guard Station. There is a little room at the top that served as a lookout post. Behind the Lighthouse, there is a gorgeous Victorian style park and garden. There are over 200 plant varieties in different garden rooms that adorn the site and connect by winding paths that eventually lead up to the seawall and the Atlantic Ocean. There are benches, set back in cozy little niches lines the garden path and a large gazebo. 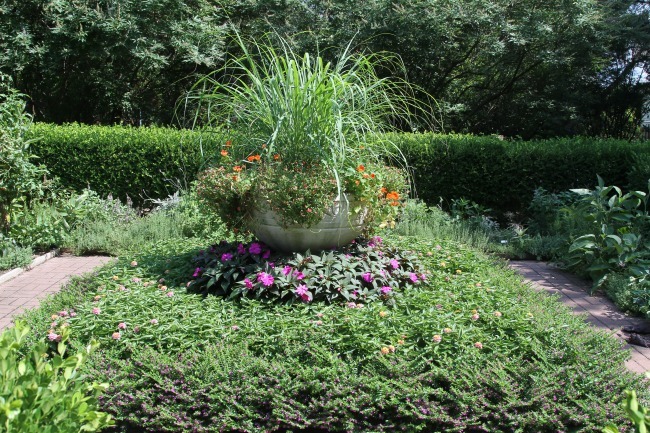 The gardens have won numerous awards including the Suburban Greening Award from the Pennsylvania Horticultural Society and the Cape May County Chamber of Commerce Beautification Award. 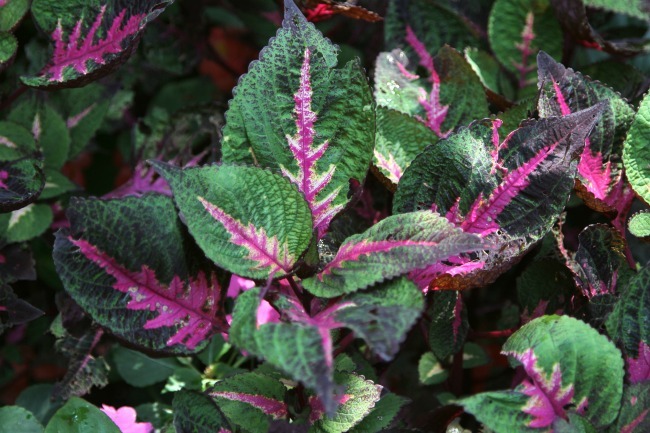 They have been featured in such magazines as Coastal Living and Victorian Homes and in books that include The Great Gardens of New Jersey and Exploring Gardens and Green Spaces from Connecticut to the Delaware Valley. The garden has won many awards, including the Suburban Greening Award from the Pennsylvania Horticultural Society. It has also won the Cape May County Chamber of Commerce Beautification Award. The Victorian Gardens of the Hereford Inlet Lighthouse have been featured in magazines like Coastal Living and Victorian Homes and in books that include The Great Gardens of New Jersey and Exploring Gardens and Green Spaces from Connecticut to the Delaware Valley. The Gardens are also a favorite of birders and butterfly watchers and are listed as a wildlife habitat with the National Wildlife Federation. The Hereford Lighthouse is listed on both the National and State Registers of Historic Places. It is also part of the New Jersey Coastal Heritage Trail. It is operated and maintained by The Friends of Hereford Inlet Lighthouse Inc with money generated by Lighthouse tours, the gift shop and fundraising projects. Taking a Road Trip to the Poconos?